Added Glue (bone glue, animal glue) as substitution of Slime. An animal glue is an adhesive that is created by prolonged boiling of bones in dixie. Is there planned support for professor flaxbeards wonderous steam mod? No, support of this mod is not planned. But I would not mind to add support for what some steam engines in my mod. Maybe I'll find a suitable mod, and perhaps add my own steam engines. I still think about it. Flaxbeard's really dosnt need alot of tweaking to make it work in TFC. Just adjust a few recipes in with MineTweaker and your golden er Brass I mean! Even with all of the super awesome features included in this mod I am still somewhat hesitant to actually include it in my pack at this time. Most of the reasons are balance related and the time involved to crosscheck alot of the recipes I have already changed in Buildcraft and Immersive Engineering. However there are a couple of features that would make me immediately jump on the band wagon. I am not sure if these features already exist but I noticed that your Buildcraft status is up to 85% so I thought I would ask first. The two Buildcraft features that I am most interested in looking out for are if Buildcraft Item Transport and Liquid Pipes can interface with TFC "machine" blocks, specifically the Barrels and Crucibles. Of course all the work you have done on this mod so far is pretty amazing especially the recent addition of latex farming But I have been kind of holding out for more of the Immersive Engineering integration since I have already scripted alot of Buildcraft using MineTweaker. However if you already have a way to get the pipes (or even IE conveyor belts) to place and remove liquids and items from barrels and crucibles I would immediately plug this mod into my pack. I am considering adding more crafting automation and integration to the endgame portions of the pack, so being able to automate things like alloy smelting is going to be a huge selling point for me in the future. Thank you for your interest in my mod! Regarding the status of 85%: most of the modules are already integrated, but I'm stuck on the integration of BC Robotics. I need, or to teach them to work with TFC, or to refuse to support them. I do not see the problem is to use BC tanks instead of barrels for storing liquids with the possibility of connecting the pipes. But if there will be many requests from users, then I will add possibility to connect liquid pipes to barrels in one of future releases. In the near future I probably will release the next alpha build with integrated Bildсraft. I will appreciate if you will test it thoroughly and give me feedback. The next step will be the integration of IE. Unfortunately, not yet. BC pipes extract from crucible everything in succession without an analysis. But I think about it, and, most likely, these functions will perform Striped Pipe that is currently disabled. But it will be in one of future builds. How is your current progress on Aluminum processing? It looks like the Immersive Engineering's Arc Furnace is very close to the modern process, however it lacks one crucial component. What I believe is missing from the IE Arc Furnace in order to have any kind of Electrolysis is a dissolvent, or some kind of acid. Modern Aluminum processing uses Cryolite to dissolve the Bauxite ore but I believe it was originally discovered in the 1800's using Flourite or even potassium to break down the Bauxite first. I think the Arc Furnace is must have for Aluminum processing, but in order to be more realistic and "believable" I really think some kind of dissolvent needs to be added to the machine. From what I have been told this dissolvent is never actually used up or burnt off, but I would leave it up to you to decide if its actually consumed in the process or not. Build 0.2.0-A5 released! You can get it at CurseForge. No progress yet. Just melting of bauxite into aluminum. When I deal with Immersive Engineering integration, I will think, that can be done in this direction. Today I have been doing some more thinking on how I want IE to handle TFC ores, in regards to nuggets, units, alloys and such. As I have not yet implemented any systems yet the processes still require crucibles, forges and anvils to get the metals before they can be used by other mods. But since I do have these advanced smelting machines why don't I let them take out some of the manual labor in smelting the metals needed to make bigger and better machines. I certainly don't intend to let the machines make weapons and armor as this is an art best left to a more skilled hand. But more advanced machines require precise measurements and a lot of repetitive parts that are exactly the same, something you just cant do on a forge very well. So my first thought was to have these smelting machines produce nuggets, similar to the vanilla gold nuggets and railcraft's iron nuggets. Small and Poor quality ores would produce 1 nugget of their respective metal, while normal and rich would give two or three nuggets. Its very inexact measurements but close enough to be fair. But today I thought, "why not try dust instead of nuggets?" I see that your mod adds a lot of metal dusts which would help out a lot if I were to follow this course of action. So I am wondering if you are also thinking along the same lines? Are you planning to have IE able to smelt the metal ore dusts/powders and if so at what ratios? Having 1 ore produce 1-2 dust that can then make 1 ingot each is extremely over powered with respects to TFC. I do think that grinding the ores into dust first should provide some bonus to the end results. Maybe 10% to 50% at most but a small ore (10 units) should not be able to suddenly turn into a finished ingot (100 units) Do you think that 10 units per dust would be unreasonable? Or maybe 25 units so a machine like the crusher would require 2 small or poor ores to make 1 dust or 1 normal ore. For the poor and rich it would take 5 poor ore to make 3 dust and 5 rich would grind into 7 dust. Maybe tweak the numbers a bit to provide a small bonus or only require 3 dust per ingot? 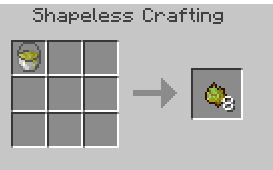 I am interested to hear your thoughts on this before I start adding these kinds of recipes in MineTweaker. Ever since I last played with IE, it got a lot of new stuff. I have yet to explore IE a little deeper, before I start to think how I would integrate it. Therefore, it is difficult to say now something concrete about this. Perhaps, in addition to dust, I will add more additional items that would be involved in the process of ore processing. Again, it is necessary to come up with an interesting way of refining bauxite into aluminum. As far as understanding what I want, I will share my thoughts here. By the way, did you look TFCTech.cfg? There are tuning of amount of metal in a dust, in nuggets etc. It can be useful for you. I remember looking at another mod that added several levels of ore processing and at one step it added something called a Slurry, so adding more steps sounds like more fun in my opinion I recently changed the IE process for making steel into three steps by running it through the blast furnace 3 times. Maybe I should mix it up with a coke oven too? I have not looked at the config file yet, still at the office for another hour, but I will certainly do that once I am able to get back on the project again. He must not have included a TFC crafting handler. TFC does not use item containers and do have to duplicate the tool with the same NBT. So I finally sat down and gave this mod a test run. Sadly its is just too incompatible with my pack in its current state. The key issue is that the mod Overwrites alot of the buildcraft recipes and would take me hours and even days to go through and clean up everything. For now the cost/benefit ratio is just too high. It's a pity. Unfortunately, I can not make a crossover mod without changing the recipes. Especially it concerns of pipes, as I completely replaced the original pipes with my own. There in lies the problem. My pack is already public and players will have already started using the default buildcraft pipes and gears so removing them will break their worlds. If your custom pipes cannot work with BC pipes at all then that is a serious problem. But if it simply neater to just hide the old ones in NEI then I think that mod pack developers should be given a choice not forced to go one way or the other. There is a lot of great stuff in your mod that I really like and would love to include, but if it comes with this kind of restriction I don't know anyone who would want to use it. For me, its just too late in the game. The fact that my mod is not designed to add to the existing worlds, because it adds the generation of bauxite and rubber trees. As for the pipes, then I went on the way to improve the quality. My pipes are not simply changing the recipes and textures, they work properly with TFC chests and barrels. As I wrote, the original BC pipes can put prohibited items in chests, and my pipes does not allow to do so. Also do not forget that mod is still WIP and is not recommended for use on production servers. I published it only in order to allow people to test new features, find bugs, to express their wishes, etc. My pipes extends original BC pipes and include their functionality. So, it can be used with LP. Also it can connect with original BC pipes existing in the world. But, again, I believe that LP can also put prohibited items in chests and barrels. Therefore, most likely, I will remake them too.